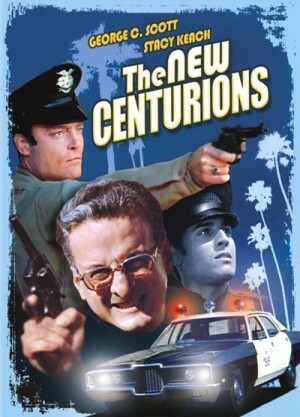 The film is based on a novel written by former LA cop Joseph Wambbaugh and apparently very accurately recreates some of his experiences with real people while he was wearing a badge. Rookie cop Roy (Stacy Keach) has promised his wife that he intends to get his degree and then look for a better job that will allow them to be a real family. She has trusted him and now they are sacrificing a lot to make their plan work. But as time goes by Roy reveals that he actually likes his new job and isn't in a rush to start studying for his exams. He also praises his partner, Kilvinski (George C. Scott), who seems like an invaluable source of information about life on the streets of LA. When his wife eventually reminds him about their plan, Roy reacts angrily and makes her wonder if he was ever serious about spending the rest of his life with her. Meanwhile, Roy and Kilvinski develop a special bond and he begins spending even less time at home. Their experiences on the streets also make him realize that the law he has sworn to enforce could be interpreted in a lot of different ways. And when a deranged man nearly kills him, Roy reluctantly begins to reevaluate his entire life.